Growing up in New Zealand it’s impossible not to be exposed to some Maori culture. It’s taught in the schools, and the growing belief in celebrating all the cultures represented by the people of our nation has meant that there has been somewhat of a resurgence in interest in Maori culture and mythology. I admit, by the time I got to my mid teens I was sick to death of learning about it – but that was mostly because other people said it was uncool. My mother was going through something of a ‘born again Maori’ phase, and it irked me. What can I say, I was a bit of an angsty teen 😉 It took me growing up a little more to really appreciate my roots, my heritage, and even longer to dare to write stories that captured aspects of that culture. One of the things I love most is the mythology surrounding the Maori gods – they are a part of the living world, the landscape. Papatuanuku is the goddess beneath our feet, and her husband, Ranginui is the sky father that spreads above our heads. Their children embody aspects of the world – the sea, the forests, the weather and so on. Their family tree is heavily dominated by gods, but there are a few goddeses in the mix. I’ve always felt a deep connection to the land, especially to the land around where I live, where Mount Taranaki keeps watch over us, and the sea can be seen in almost every direction, and the wind can be so punishing, that it’s impossible not to believe their are entities inhabiting the sky. New Zealand is a magical place, and I’m blessed to live here. Lovely post. I’m a big mythology fan in general but know very little about Maori mythology. In some ways the info is hard to come by, but what there is can be fascinating 🙂 There was no written Maori language until after the English began to colonize, which means that a lot was never written down, stories were passed along orally, and I think a lot has been lost. Lots of work has been done to recover the history and stories in the last few decades though. Thanks so much for stopping by my post! lol you’re welcome Alex 🙂 I’m enjoying reading your blog! It’s great to hear that you have discovered Maori culture, and that you’re enjoying it! Mythology is just a way for people to try to explain the universe and their place in it. It makes sense to them but not us. I love mythology. But I also love the Bible and science and the inspiration for writing stories in unlimited. nice to meet someone else who enjoys mythology 🙂 I agree – inspiration for stories can be found anywhere! Oh this is awesome! 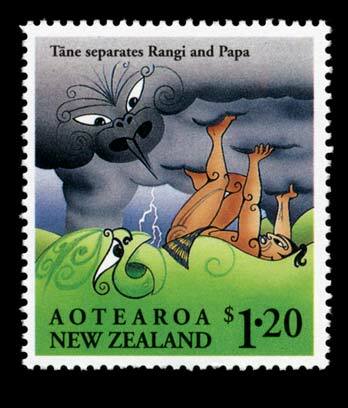 You’re inspiring me to want to learn more about Maori mythology. it’s sad that a lot of oral history is lost, but i’m glad they are trying to preserve it now. i don’t know much about the maori mythology, but this post makes me want to learn more. it sounds fascinating. It is, but then I’m probably biased 😉 I love mythology and finding out the roots of different cultures beliefs, how they interpret the world around them. Such fascinating stuff. No! don’t give me another cultural mythology do dig into! This is too interesting, I love how various religions and cultures create their mythology and views and form those into these celestial Ideals. Great post, thanks!